Just a few more weeks before I get the key to my new home and I figured I would show you my current wardrobe organization. Once I move it is very likely to change quite drastically (if the current owner doesn’t take it out, I will have a walk in closet!! ), so I figured that now would be a good time to show you my wardrobe and how I keep things organized inside my closet. You’ve seen the hauls (here, here and here), you’ve seen the declutter (here) and now you get to see how I keep everything organized. I keep all clothing related items, apart from shoes and outerwear in one ginormous Ikea Pax wardrobe. I have had this thing for years and have never regretted it. 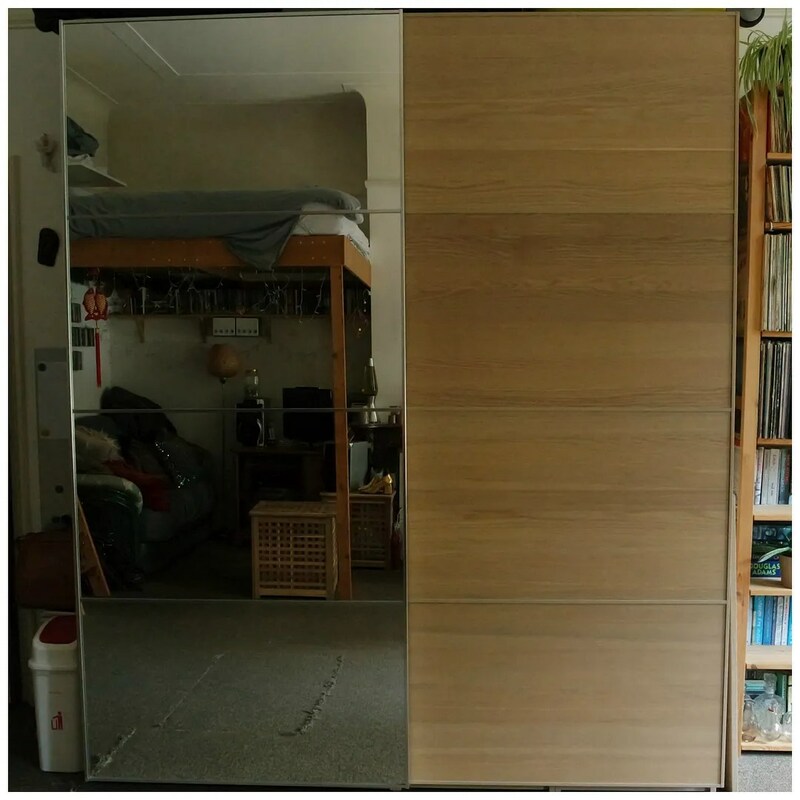 Sliding doors and mirrors and all. If you live in a small space, but do have high ceilings it’s a good way of maximizing space. I reorganized the inside of this closet once, because I felt it no longer suited my needs. Which is one of the great perks of Ikea Pax: if you get annoyed or bored with the current set up, you can easily update it. I have the tallest and deepest size and it has kept my clothes neat and organized since 2009. Very good to see this. Great that you will get soon the key from your new house….